Bianca is a 27 year old residing in Atlanta, GA. 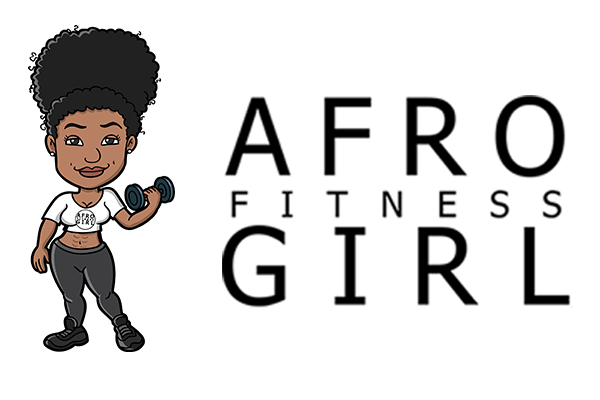 Despite falling off of her routine a few times Bianca was able to lose a considerable amount of weight and is still on her journey. What led to the beginning of my fitness journey was me discovering that I was very uncomfortable with myself and I knew that only I could change that. At the time I was in my early 20’s, at my heaviest weight and I noticed that I had some insecurities. It wasn’t that I lacked self love or anything like that because I have always been known to be a very confident person but it was a part of me growing and evolving as a young woman. So I decided to make a change. I first started achieving my goals by simply going out on daily walks. After walking for a few months, I began running and also doing a bit of hiking up Stone Mountain. I later joined a gym and that’s where I began weightlifting. My typical day at the gym, usually consists of me drinking Cellucor C4 pre-workout on the way to the gym and listening to really hype music. By the time I enter the gym, I warm up with stretching then I go right into the work of the day which depends on what day it is for example there’s leg day, arms and back day, and total core day. All of my workouts contain an element of cardio, be it cycling, using the stair climber or using the treadmill. I changed my eating habits by cutting out sodas, a lot of red meats (I didn’t completely cut out beef, I am from the South so that’s really hard), I do not eat pork and I’m not really big on sweets. I started eating more greens, making sure that I was getting enough protein and I also upped my water intake and put myself on an eating schedule. My starting weight was about 215lbs and I wore an XL and my dress size was about 14-16. Now I weigh 138lbs, I can wear an XS-M, and my dress size is about a 4 or 6. My transformation started back in 2013, so it has taken all of 4 years to get to where I am now. The journey is still ongoing and there have been times when I have completely fallen out of my routine and relapsed a bit but I always remember that I am human and I started my journey for a reason. The hardest part of my transformation has been the dieting, because I am a self proclaimed “foodie” and I love to be at the latest and trendiest restaurants. Food is life for me, so having to cut back and maintain has been a challenge. The way that I overcame this was by again, reminding myself that I am human and that I still can enjoy food and explore new alternatives to certain foods. I began changing recipes in the kitchen and also started trying things I’ve never tried before. Things for me have changed so much. I actually get noticed from time to time when I am out. I network with others on their fitness journey and I occasionally link with trainers as well. Health wise, things have been amazing. The overall feeling that I have now differs tremendously from I felt in the past. I am able to do so much more just based on the fact that I made a decision to change my habits. As far as my relationship life goes, things have changed but I am single. However the changes I made to better myself has allowed me to be more open and outgoing in the dating world to say the least. During my journey, I did meet with a few different trainers but not so much to workout but more so to gain more of an insight into fitness. There are 2 products that I have used throughout my journey and they are: Cellucor C4, which is a pre-workout drink mix, which comes in amazing flavors and I also use SportsResearch Sweet Sweat, which is another workout enhancer and vasodilator. I highly recommend both products, because I’ve been using them and they work great! On my days off, you can probably catch me working on my fitness apparel line. It’s an active wear line for women and I am diligently working on every aspect of the line. I can also be caught relaxing at a Starbucks (guilty pleasure) and also somewhere on the Atlanta Belt Line. A major piece of advice I would give to any women on their fitness journeys is to love your self and your body through every step of the journey. There will be times when you want to give up, times when you are exhausted and times when you slack a bit and that’s okay but what you don’t do is quit. Always remember why you started and never compare your fitness goals or journey to someone else’s. He’ll say he “pulled” me but we both know the truth. He might’ve took his phone out but I put my number in it! To achieve my results, I stopped making excuses as to why I couldn’t do it. Bianca Cole…you are an amazing woman that gives women like myself hope while on a similar journey. Although,wayyyyyyyyy older than you (went to high school with your mom), I knew this journey would be much harder. I’m super proud of your accomplishments and I wish you the best in life; and success with your clothing line. Your entire family reminds me of my favorite Marvel cartoon character (Super Woman)…each of you are strong beautiful women in your own right.